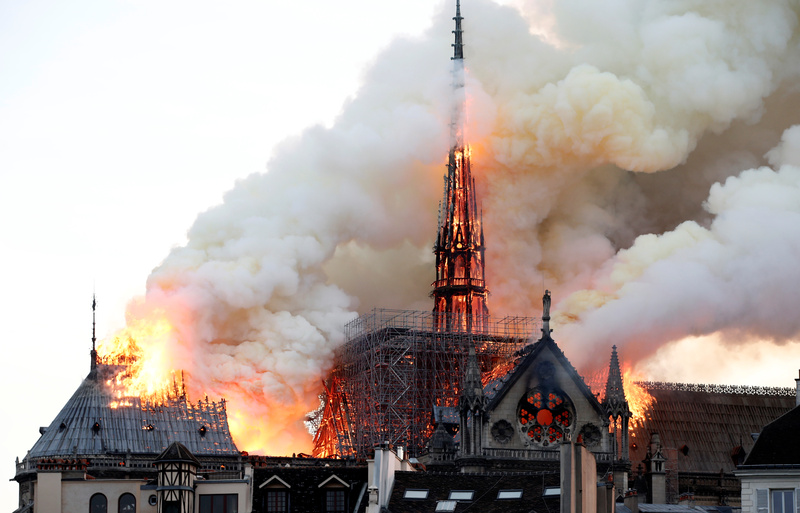 France’s wealthiest tycoons and some of its biggest companies pledged hundreds of millions of euros on April 16 to help repair the iconic Notre-Dame cathedral in Paris, which was partially destroyed by fire the previous day. Bernard Arnault, founder of the LVMH luxury goods group, said he and the company would donate 200 million euros, a sum matched by cosmetics giant L’Oreal and its majority shareholder, the Bettencourt family. Francois-Henri Pinault, chairman of Kering, pledged 100 million euros, as did oil major Total. Air France-KLM said it would provide free transport to anybody involved in the repair and restoration effort.